Maybe he did it for the YouTube fame. 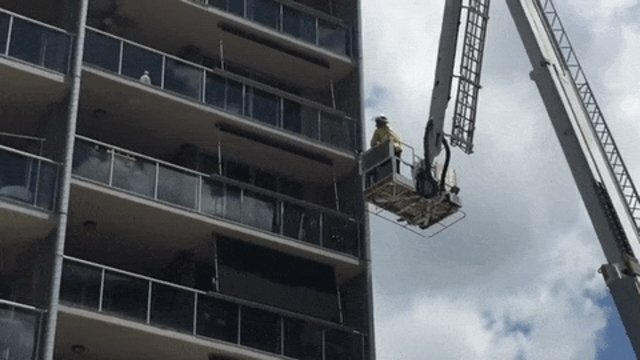 A cat who appeared to be stuck outside of a balcony recently stirred up a lot of attention - and trouble, in Brisbane, Australia. 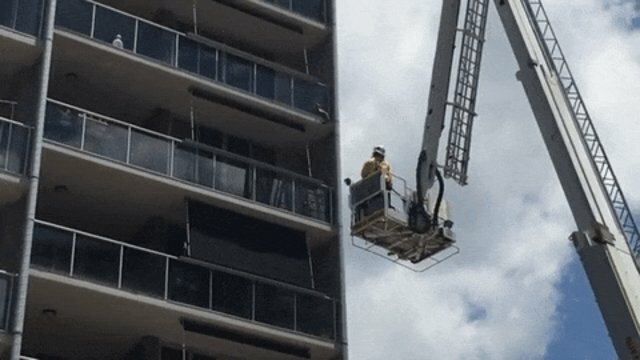 In a video shared by Reddit user Supermantis, a firefighter arrived to the scene with a crane and a plan to save this cat from his dire situation. The rescue was a pricey one - there were two units present and they even knocked down a post outside an upmarket hotel in order to gain access to the feline in distress. And so, there sat the cat majestically, waiting for his knight in shining armor to pluck him away from a potentially tragic fate, with an entire audience watching to boot. 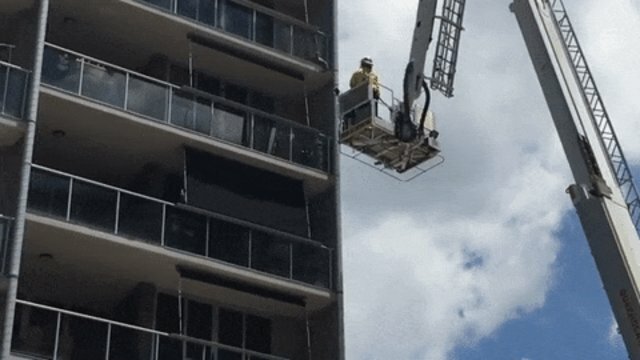 At the very moment the fireman was ready to grab him, the cat decided, "Nah, I'd rather save myself," and quickly scurried under the balcony glass, showing that he was fine all along. Leaving his rescuer perplexed ... and probably a little frustrated. We wouldn't blame him. But whoever said cats are known for playing by the rules? As it turns out, the cat was a resident of the floor above who might've fallen or simply hopped down onto the balcony in the first place, Supermantis wrote. 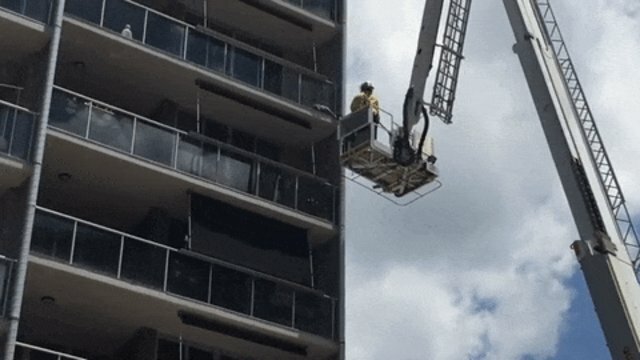 The fireman still climbed over the balcony to retrieve the cat. So in the end, all's well that ended well for this strong, independent feline who doesn't need any firemen chasing after his tail.